House Cleaning Boston, Somerville And Cambridge - Book Your Maid Service Today! | Outstanding Cleaning Inc. Nothing is as comfortable and inviting as a clean home. Allowing you to feel pride of ownership as well as letting you relax and enjoy your house in the way you deserve, a clean home is simply a blessing. 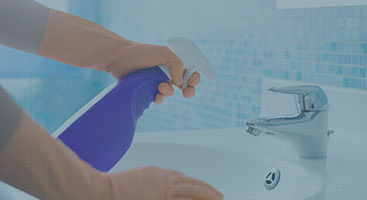 Unfortunately, hectic family schedules and the day-to-day grind keep many of us from being able to thoroughly clean our homes in the way we know is needed. If dust is building up, windows look less than spotless, and grime seems to be taking over, it may be time for an outstanding cleaning service. At Outstanding Cleaning, we’re the premier cleaning company for all of your housekeeping and maid service needs in order to keep your home comfortable and immaculate. Our well-trained professionals are sought after for their attention to detail and their determination to never sacrifice on a job well done. We thoroughly vet every individual who works for our cleaning company so that you can rest assured that your cleaners will be nothing but courteous and professional in your home. In addition to getting the best cleaning professionals in the Greater Boston area, you’ll also be treated with superior housekeeping services. We work hard to make sure that we use professional equipment and eco-friendly cleaners to make sure that you can be proud of hiring us. We started our housekeeping and maid services in 2010 and have only grown from there thanks to our dedicated clients and satisfied customers that come back again and again. What’s best about Outstanding Cleaning is that not only can you have standard cleaning chores completed by our professionals, but you can also customize your experience specifically to your needs. Housekeeping is about more than just dusting and cleaning up the bathroom. We have many clients request that we do a load or two of laundry, or even clean the windows. We like to make sure that all of your need are met so that you can come home to a well-kept home after every cleaning visit. We can also provide other options such as deep cleaning services in order to get your home cleaning off to the right foot prior to scheduling regular maid service. While we are based out of Somerville, MA, we service a variety of areas throughout the Greater Boston area, including Somerville, Cambridge, Arlington, Boston, Medford, Malden, Everett, and Chelsea, in order to best provide services for the community. Your home deserves to have the best housekeeping services at a reasonable price, and that’s exactly what you’ll get with Outstanding Cleaning. Our goal is to always provide the best value, so let us show you how we do that. Outstanding Cleaning Inc. is taking the Boston cleaning and housekeeping industry by storm, and for good reason. Our clients matter to us. Find out more about our housekeeping services by contacting our customer care team now. We’ll schedule your first, or continued, residential cleaning services promptly and professionally. Or you can schedule your services right here online today! Just click on “Book Appointment” at the top of the page! We can handle custom cleaning jobs, so just let us know what you need cleaned!